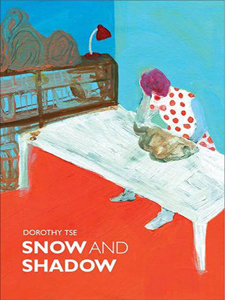 The stories within Snow and Shadow build on each other with every new page. They are blunt, stark, and nightmarish, and this is what makes them all so exquisite. Through Harman, Dorothy Tse’s collection manifests an individual voice in a world overflowing with the unexpected. Ariell Cacciola is a writer whose work has appeared in the Brooklyn Rail, Words without Borders, and Publishers Weekly, amongst others, as well as in journals and anthologies in the US and abroad. She holds an MFA in Fiction from Columbia University and is finishing her first novel. She can be found at ariellcacciola.com and on Twitter at @ariellcacciola.